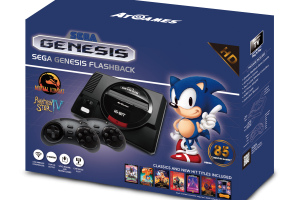 AtGames has released the 2015 version of their Sega Genesis Classic Game Console, which is available in standard (reviewed here) and deluxe (the addition of a cartridge containing five generic sports games) versions, with the former usually selling for a street price of around $40. The main change between this year’s version and last year’s is the software mix, and specifically with Mortal Kombat, Mortal Kombat II, and Mortal Kombat 3 in the 80 included games (I provided the full list here). Of course, as usual, thanks to what is effectively this system’s Genesis-on-a-chip, it can play most Sega Genesis cartridges via its cartridge port (more on that later in Cartridge and Flashcart Compatibility). If you’d like to skip to the part where I provide direct feed video of some of the games in action, check out the Games and Cartridge and Flashcart Compatibility sections of this review. Otherwise, there’s no better place to start than the Introduction. Thanks to its strong arcade roots that can be traced all the way back to the 1940s, the company that came to be known in 1965 as Sega was always defined by great games. Of its home platforms, the most successful was easily the Sega Genesis (also known as the Mega Drive in various territories). That combination of great Sega games married to a great Sega platform was a difficult combination for the company to replicate, even though the its predecessor, the Master System, successor the Saturn, and, in particular, its final console, the Dreamcast, have more than their fair share of fans. It’s not surprising then that AtGames releases new versions of their Sega Genesis Classic Game Console, as well as a portable version that accepts SD cards instead of cartridges (for the same general price), every year. The console itself is quite small and light, measuring approximately 5.5 x 4 x 5 inches (13.8 x 10 x 12.7 cm). 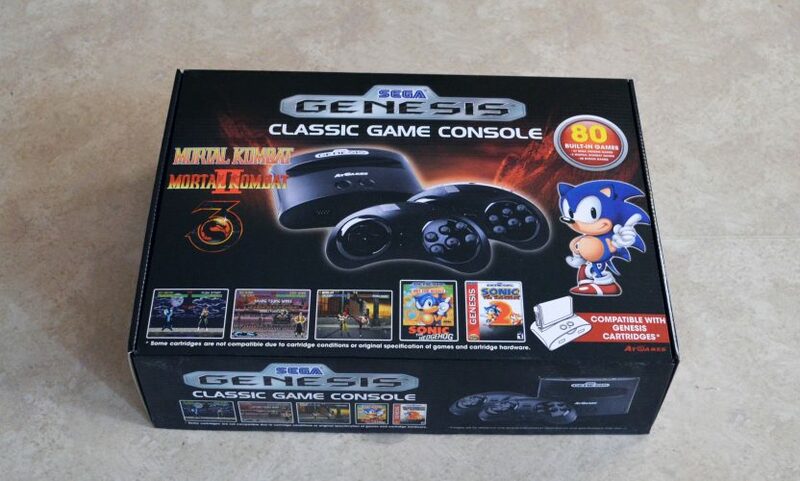 Unlike some of AtGames’ other products, this design only vaguely recalls the original Genesis console’s look, but does nail the heavily black color scheme. At the top of the console is a cartridge slot and a power indicator LED, which is flanked by ON/OFF and MENU buttons, the latter of which can be pressed to reset the console without powering it off. On the front of the console is the infrared sensor, which is flanked by two ports for plugging in wired controllers. Both controllers, which mimic, but do not directly replicate, the proven design of the original Sega Six Button Control Pad, are functionally the same, and contain a switch to designate one or the other as player one (P1) or two (P2). 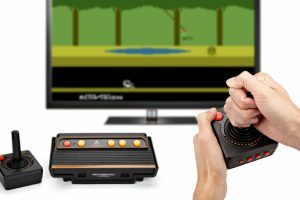 As with the AtGames Atari Flashback 6, these controllers use like-it-or-hate-it infrared wireless technology, which requires general line of sight with the sensor on the front of the console to work properly. Each controller requires three AAA batteries, which are not included. Of course, you can also plug in just about any original wired Sega Genesis controller directly to the console, including many of the third party replacements. AtGames themselves makes wired versions of their infrared controllers. Flashcart or original cartridge, it’s important to keep in mind that not every game will work. You’re probably looking at greater than 95% compatibility here, but given the large size of the Genesis library (700+ titles), that still leaves a good number of incompatible titles, including some high profile releases, like Virtua Racing, which has special hardware on its cartridge, or certain modern homebrews, like Star Odyssey (it should be noted that neither of those games work on my Sega Nomad handheld either). You can judge for yourself from the included videos, but, for the most part, there are some color and sound variations versus what you’d get from a real Sega Genesis console. Worst is probably the sound simulation, as some notes sound almost “sour.” With that said, everything is still perfectly playable, and, unless you’re looking for specific differences, you likely won’t be too bothered by any of the drop-off in relative audio-video quality. The composite connection is just about the poorest connection available, but also the most universally compatible, especially with the type of older CRT TVs the Sega Genesis games were originally designed around. It’s best to use this console with one of those older TVs as video quality will vary dramatically on modern displays, although is still perfectly usable, even if some of the menu text and other text-based items aren’t as clear as they could be. Naturally, when using this console on a modern display, you’ll want to make sure the games display in their original 4:3 format rather than 16:9 (widescreen). The same warning applies here as it does with any of these types of mass market products. If you want absolute authenticity, there’s no beating the original consoles. Emulation is also a winner. With both those things in mind, for a street price of around $40 – and sometimes for much less – this is a convenient, versatile package that offers a modern alternative to cultivating vintage technology or the slightly sterile feel of emulation. 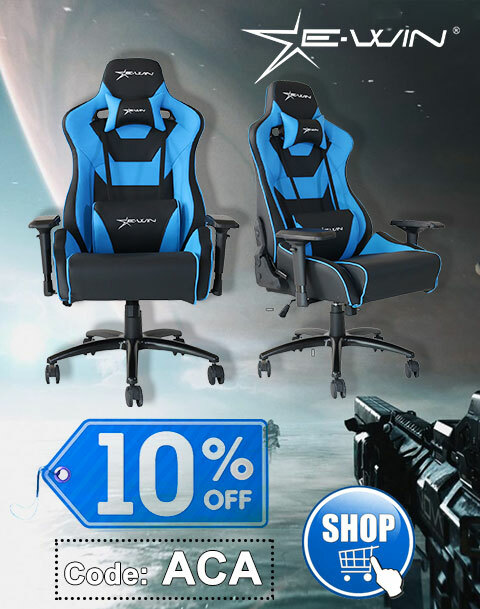 And especially for more casual consumers, there’s no question this is something worth checking out. DISCLAIMER: I advise AtGames on an occasional basis as an Independent Contractor. Opinions expressed in this review are solely my own. The only changes this year were the Mortal Kombat games. You can’t finish Mortal Kombat 1. Once you finish endurance round 3 the game resets. Real bummer. I’m not good enough to get that far. I wonder if that’s a problem with your specific unit or how the game itself works on the Classic Console? Have you tried a second time? Same question for you, Brandon. A tester at AtGames was able to reach that point in the game without issue playing as Sub Zero on Easy. Do you remember what character and what skill level you were using to get the error state? Mortal kombat 1 does the same thing on my unit. Just resets itself right before you fight goro. OK, I passed on the info to AtGames. Hopefully it will be addressed in future versions of the product. A tester at AtGames was able to reach that point in the game without issue playing as Sub Zero on Easy. Do you remember what character and what skill level you were using to get the error state? 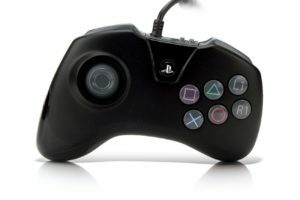 The Chinese Everdrives are knock-offs of the original and are known to have certain issues (including randomly dying). An original Krikzz Everdrive should have no such issues. Approximately 99% of games are compatible, as well as most legitimate flash carts. These have roughly the same compatibility as Genesis 3 consoles or Nomad portables. Do the cheats codes from the genesis games work with these games? I’ve been trying to use the continue cheat for Altered Beast but it’s not working. Thanks! Yes, everything should work as normal. These are the original ROMs and nothing is blocked. The version of the console you have is essentially a Genesis-on-a-chip. My handheld does like the others for Mortal Kombat 1 after third endurance it goes back to sega screen. For Mortal Kombat 3 no moves works as in special moves, fatalities and other finishing moves it only allows basic moves.